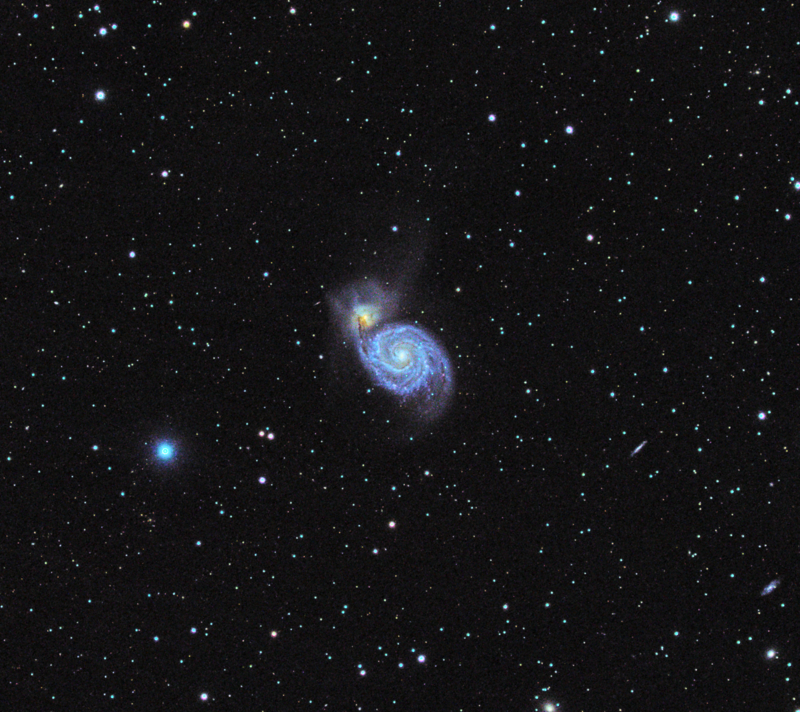 M51 is estimated to be approximately 23 million light years away. 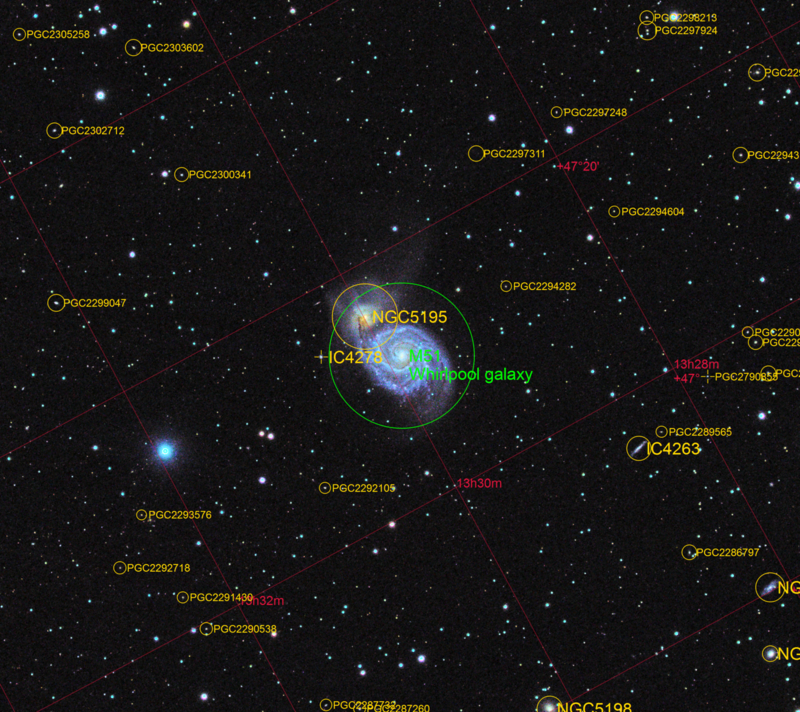 It is interacting with its smaller companion galaxy, NGC 5195, which is just above and to the left of it in this image. To the center right of the image a much more distant galaxy IC4263 can be seen, approximately 144 million light years away. Lower right, NGC5169 is yet another distant galaxy at 157 million light years and below are NGC5173 at 124 millon light years and NGC5198 at 163 million light years. Many much more distant galaxies can be seen in the background with the PGC… catalogue numbers (see annotated image below). Lovely image. Very beautiful. How did you annotate the image, is it a feature of PixInsight? Hi John. Yes I used PixInsight to create the annotated version. Using the final image, you need to run two different scripts. Firstly the image needs to be plate solved and have WCS headers inserted. This can be done with the ‘ImageSolver’ script (Script -> Image Analysis -> ImageSolver). You need to give the script a few clues by setting the focal length and pixel size of your imaging setup (or directly enter the scale in arcsec/pixel), and also the approximate coordinates of the centre of the image (there is a search function that allows you to find these by name or catalogue number). Once that is done you can then run the ‘AnnotateImage’ script (Script -> Render -> AnnotateImage) which has options for what to display by way of annotation. Leave a Reply to John Coffin Click here to cancel reply.